It seems increasingly likely that a debt-ceiling increase will be attached to a budget deal that Senate negotiators from both sides hope to announce as soon as today. The big picture: This means DACA will likely be dealt with — or not — on its own terms and not used as a hostage in a government shutdown stare-down. 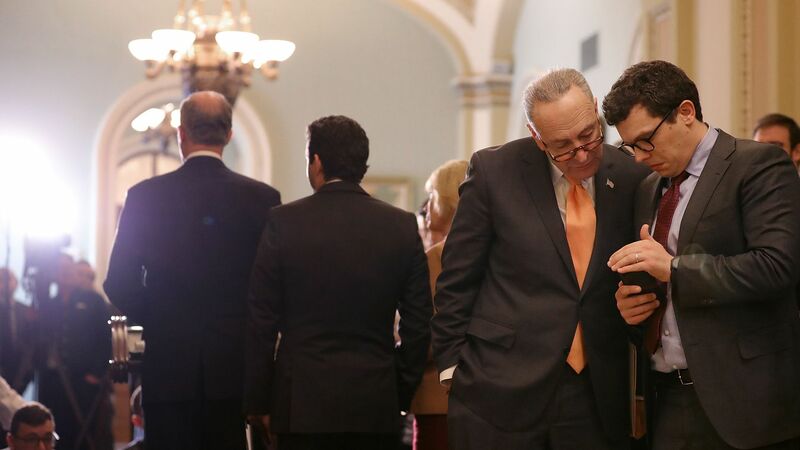 The two-year deal I expect McConnell and Schumer to strike: busting the budget caps on defense and domestic spending, raising the debt limit, plus funding for disaster relief and funding for community health centers. Why it matters: That would be a pretty good deal for President Trump. Sure, the fiscal conservatives will hate it, but Trump has never been one of them. The deal would expose the gap between Schumer and House Democratic Leader Nancy Pelosi: She wanted to hitch the immigration deal to the spending fight, while Schumer appears OK with allowing it to be separate. How it's playing: WashPost lead story: "Senators say deal on budget is in sight" ... Wall Street Journal A1: "Senators Close In on a Budget Deal."